We were honored to be part of the Life is Sweet experience. They were a small-town shop with big city products including high-end truffles from Paris and unique gift items. e design created their brand and then had the opportunity to apply that brand across all marketing efforts. 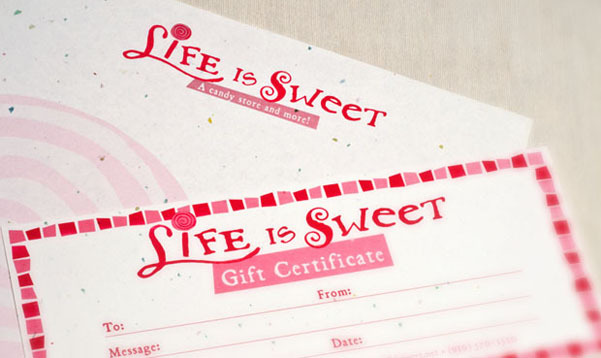 e design gained invaluable experience in retail marketing by working with Life is Sweet to create in-house signage, advertising, website, environmental graphics, clothing and more.